Do you have photos, historical accounts or other items pertaining to the Viking area? Would you like to share this historical information with the world? LakesnWoods.com would like to publish your Viking photos (current or historical) or historical accounts on this website. Original materials can be returned and your privacy will be respected. 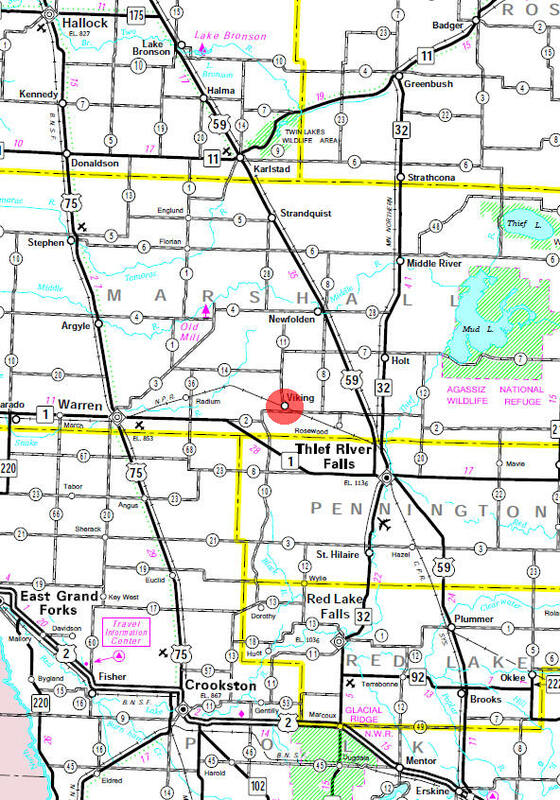 Viking is a city in Marshall County, Minnesota. County Roads 2 and 11 are main routes in the community. According to the United States Census Bureau, the city has a total area of 0.51 square miles (1.32 km2), all of it land. 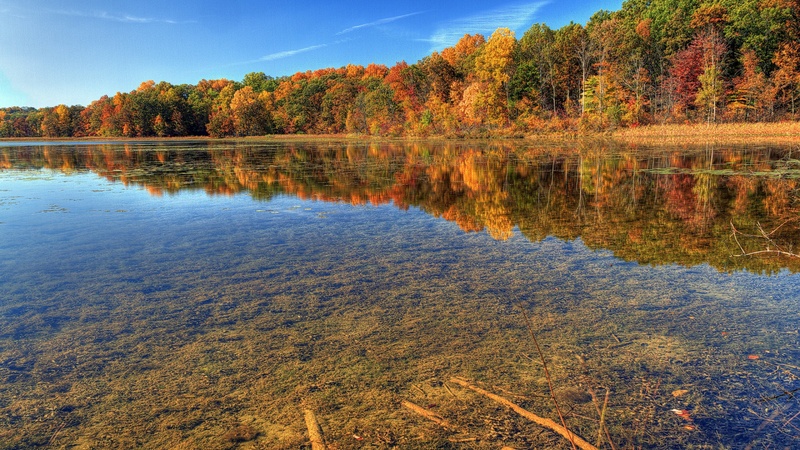 The elevation is 1,070 ft (326 m) above sea level. As of the census of 2010, there were 104 people, 43 households, and 31 families residing in the city. The population density was 203.9 inhabitants per square mile (78.7/km2). There were 46 housing units at an average density of 90.2 per square mile (34.8/km2). The racial makeup of the city was 96.2% White and 3.8% from two or more races. Hispanic or Latino of any race were 1.9% of the population. There were 43 households of which 37.2% had children under the age of 18 living with them, 48.8% were married couples living together, 20.9% had a female householder with no husband present, 2.3% had a male householder with no wife present, and 27.9% were non-families. 25.6% of all households were made up of individuals and 4.7% had someone living alone who was 65 years of age or older. The average household size was 2.42 and the average family size was 2.81. The median age in the city was 42 years. 30.8% of residents were under the age of 18; 1.9% were between the ages of 18 and 24; 23% were from 25 to 44; 28.8% were from 45 to 64; and 15.4% were 65 years of age or older. The gender makeup of the city was 43.3% male and 56.7% female. 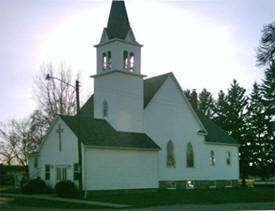 VIKING Township, organized in 1884, was named by Rev. Hans P. Hansen, a Norwegian Lutheran pastor in Warren. This Scandinavian word, often translated as "a sea king," more correctly denoted any member of the early medieval pirate crews of Northmen who during several centuries ravaged the coasts of western and southern Europe. The city in section 26 was incorporated as a village April 12, 1921; the post office was established in 1890. The community developed with the railroad; there were three elevators and a number of small businesses. The Northern Plains Railroad (AAR reporting mark NPR) is a Class III short line railroad that operates over 484 miles (777 kilometers) of track in the northwestern U.S. state of Minnesota and the northern U.S. state of North Dakota. 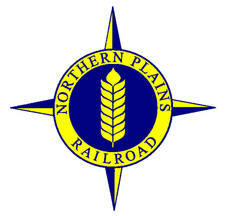 As of 2006, the Northern Plains Railroad employed 43 people and handled approximately 17,000 carloads per year. The primary commodities hauled included wheat, barley, durum, and soybeans.